Children are often removed from their home in traumatic emergency situations. In these times of uncertainty, it is important for Adams County to have a safe place for each child to go. Homes for Hope is that safe place. Homes for Hope allows us to keep the children in the county, in their school, and in their community. This brings stability in a time of instability. Children are brought directly to a Homes for Hope house where they are welcomed by foster parents and undergo an intake process designed to identify how to best meet the child’s needs and help the child feel safe. Children can remain in a Homes for Hope house for up to 90 days while a suitable long-term solution is created. For some children, this means being placed with family and for others longer-term foster homes. Caring for children when they are at their most vulnerable. It’s not enough for children to be safe, they must also feel safe. Home for Hope will provide a safe haven, a warm smile, and a warm bed at the time when they are most vulnerable, immediately after being removed from their parents. Adams County, Adams County Foundation, and Nightlight has partnered for this program. Two single-family houses have been completely renovated and are ready for families to move into. The two homes can accommodate up to eight to 10 children at a time. Homes for Hope will allow sibling sets to stay together in one home. Prioritization will be given to children infant to age ten but will serve children up to age 18 years old to keep siblings together. The homes have been specifically designed with a receiving area, to provide a smooth transition for the child into their new foster home. These children are being taken away from everything they know. We have the opportunity to make their time in foster care as comfortable and warm as possible. 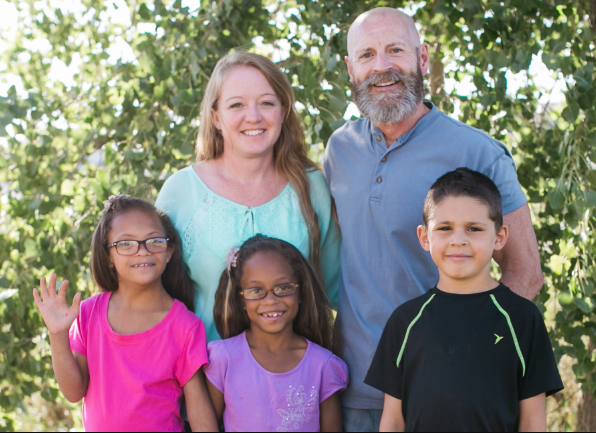 We are looking for two experienced foster families to move into a Home for Hope. These families will need to be teachable, flexible, and tenacious. Homes for Hope families will be the first point of contact for children as they enter foster care and their advocate as they transition into their new placement. Reduced rent and fully furnished homes will allow the families to focus solely on meeting each child’s needs. These parents will work as a team with Nightlight, Adam’s County, and the child’s biological family. They will attend meetings, document and share the child’s needs, behaviors, and progress during their time at Homes for Hope. It will be the family’s responsibility to transport the child to the doctor within 72 hours for a comprehensive medical and developmental screening. They will provide transportation to visits with their parents and ensure each school-age child is able to remain in his or her home school. Take a tour of one of the homes! This video will allow you to get a picture of one of the 2 homes that have been provided by Adams county for this important program. We are actively looking for 2 families who can move into these homes and would love to help you learn more.